GOOBNE, Korea No.1 Oven Roasted Chicken has finally come to Malaysia! GOOBNE originated in Korea where they are crazy about their oven-roasted chicken. GOOBNE, famous for its signature freshly oven-roasted chicken has finally arrived on our shores last month. Launched in 2005, the brand GOOBNE (pronounced Goob-Ne) has been serving customers for more than 10 years with healthier chicken - all oven-roasted without oil and not fried. Focusing on great taste, good value and excellent service have allowed it to grow to over 1000 merchants in Korea as well as Hong Kong, Macao, China, Japan and Indonesia. 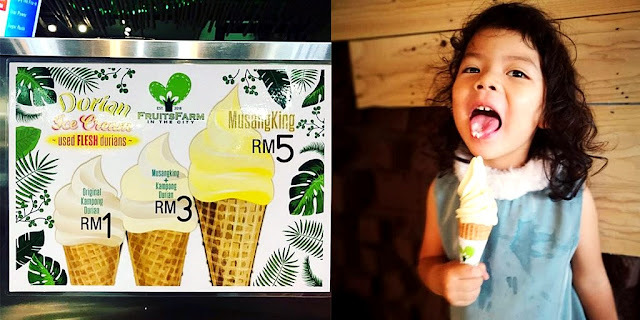 Foodies in Klang Valley are catching onto the Korean food craze, all thanks to GOOBNE for bringing in a good healthy K-Food concept featuring award-winning oven roasted chicken. They aim to elevate Korean food with their top quality, premium fresh ingredients and the culinary genius of their 5-star chefs leading to a new chicken culture. GOOBNE is all out to capture the hearts and appetites of Korean food lovers with their scrumptious Korean fare such as the signature spicy Goobne Volcano, Goobne Korean Spicy Galbi Sauce, Goobne Deep Cheese, Goobne Soy Garlic and last but not least Goobne Original. The word GOOBNE means oven roasted. Chicken served here is roasted in the oven for 13 minutes at 195 degrees without using a single drop of oil to conserve the original flavour of the chicken itself. In addition, all their chicken is hormone free. 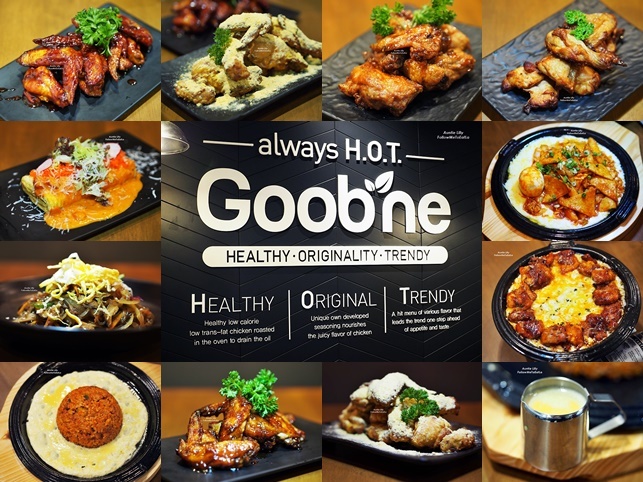 GOOBNE Chicken brings you a good healthy K-Food concept for the whole family to enjoy. The GOOBNE chicken contains fewer calories, cholesterol, sodium and trans-fat, yet crispy on the outside, chewy and juicy inside once roasted. Menu with a variety of tastes surely aims to satisfy every patron’s craving. Goobne Chicken also offers choices of whole or half chicken, wings in 8 or 14 pieces to match everyone’s preference. My hubby and I were here to check out their newly launched GOOBNE Malaysia recently. We thoroughly enjoyed the healthy oil-free oven-roasted chicken with their unique menu introducing Malaysian to a great tasting twist to the chicken craze. I loved the fact that it's oven roast and not deep-fried, so this is totally much healthier and guilt-free eats for me as I'm watching my cholesterol count nowadays! Here’s a sneak peek of some of the best sellers. GOOBNE's menu offered 5 kinds of oven roasted chicken with different flavours ranging from non-spicy to the spiciest ones. For spicy food addicts, the signature Goobne Volcano will give your taste buds a volcanic sensation. For cheese lovers, be prepared for a cheesy explosion of deliciousness with the Goobne Deep Cheese. Try out the Goobne Soy Garlic as well to experience oven roasted chicken with crispy coating topped with the shop’s very own soy-garlic sauce. Goobne Korean Spicy Galbi Sauce ~ this is favourite among all of the flavours. Touted as GOOBNE's BEST SELLER, you must try this as it's simply delicious because it comes with a palatable pleasant-tasting sweet sauce with a hint of spicy taste. Definitely a MUST-TRY for those who love sweet and spicy dishes! Next, there's the Goobne Soy Garlic featuring Goobne's oven roasted chicken coated in their very own housemade soy-garlic sauce. If you don't fancy the Spicy Galbi Sauce flavour, this could be a good alternative. Goobne Deep Cheese ~ This version is the oven roasted chicken coated generously with cheese powder. Well, this dish is kind of tricky for me. I expected those rich, high-intensity cheese powder with a creamy mouth feel but this is totally different from that. The texture of the powder is coarse and dry - it's sweet in flavour instead of salty and has that fun cheese taste similar to the flavoured snack called 'Super Ring'. Last but not least, there's the Goobne Original - the original version of the healthy oven roasted chicken without the sauces or toppings. I would recommend you order the wings as it's more flavourful and well-marinated for the smaller pieces of chicken parts. Moving on, the hearty boneless roast chicken dish with tons of cheese is my favourite too. Sinful but seriously very tasty ~ Cheese Fondue Chicken. There was juicy sweet and spicy boneless chicken in a fondue with 2 different kinds of cheese. Best served hot by twirling the thick gooey cheesy sauce around the chicken. The warm cheese mixture was smooth and rich while the chicken was flavoursome, the dish tasted immensely satisfying. The warm mixture was pure a ambrosia in my mouth. Highly recommended dish to try! For those who must have some carbs to go with the tasty roast chicken, Goobne Chicken also serves some rice and noodle dishes including chicken fried rice with volcano or soy garlic sauce, Jjamppong Seafood Ramen, traditional Korean ginseng chicken soup Samgyetang and even the basic Korean steam rice. Chicken Fried Rice With Volcano Sauce is Goobne's Signature spicy fried rice with chicken and egg that comes served on a hot plate. Watch how the server pours in the egg batter slowly into the hot sizzling plate and see it cooks slowly into a soft and smooth omelette. Just make sure not to over-cooked the egg - give the fried rice a good stir while the egg batter is still bubbling away. Dig in fast and enjoy your plate of delicious warm fried rice! If you can stomach more, there are also the side dishes of salad, egg roll, soup, Volcano Cheese Tteok-Bokki, Japche and Oven Potato to fill in space in your tummy. Stir-fried glass noodles with thinly sliced beef & mushroom. A combination of various cheeses rolled up in layers of fluffy egg, topped generously with Tobiko & special sauce. You can try this Volcano Cheese Tteok-Bokki, Korean rice cakes drenched in spicy volcano sauce served with fish cakes, ramen, hard boiled egg and made even tastier with the creamy gooey cheese melting on a hot plate. Must eat it immediately while still cooking hot on the plate, otherwise, the cheese will hardened once it cools down. Patrons will be able to pair their dishes with a selection from the beverage program including RITA (Goobne Special Non-alcohol Mocktail), soft drinks, bottled juice and tea. To end the meal on a sweet note, diner may select from dessert offerings - Green Tea or Chocolate Ice Cream. There's a funky mocktail you might want to try ~ RITA - Shark Blood is Goobne Special Non-Alcohol Mocktail. It's a very sweet non-alcohol blue ocean mocktail that comes with a shark dripping 'blood' ie blueberry sauce for the added fun experience. GOOBNE Chicken is located on the 3rd floor of MyTOWN Shopping Centre, just next to GSC cinemas. Opens daily from Monday to Sunday (10am to 10pm). Wonderful Post. Informative Information. Keep it up. best indian restaurant. The korean chicken fried rice with volcano sauce is served to how many person eh?